Welcome to the Clio Hotel on the picturesque island of Zakynthos, nestled amongst olive groves and surrounded by lush green scenery in a quiet area of the enchanting resort of Alykes. The family run Clio Hotel, built in 2004, is the perfect place to completely unwind with its a blend of traditional Greek character and modern amenities, this an ideal retreat for families and couples looking to unwind by day and enjoy some spirited evenings in a resort where you can gain a real insight into the local way of life. Have a look at the video and get a glimpse of the hotel areas and rooms. 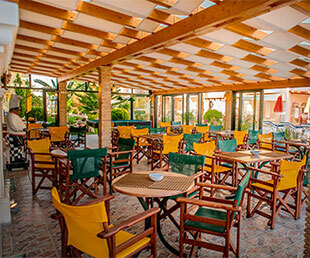 Our staff at the snack bar, swimming pool and reception area will be happy to welcome you to the family run Clio Hotel and wish a pleasant stay! Spend your day at the swimming pool. Soak up some sun, cool off with a swim or enjoy a refreshing drink or snack. There is nothing better! The hotel restaurant is open every day to offer you a different delicious meal every evening so we hope you have a large appetite! 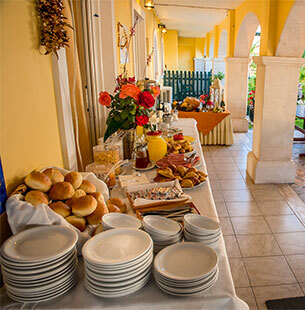 Wake up early and start your day off with a tasty and nutritious breakfast buffet that will keep you going until lunch. We would like to say a huge thank you to everyone at the clio, making myself and my family feel welcome. We wasn't sure what to expect travelling with a 20 month old baby. But everyone was fantastic from the first to the last day of our visit. 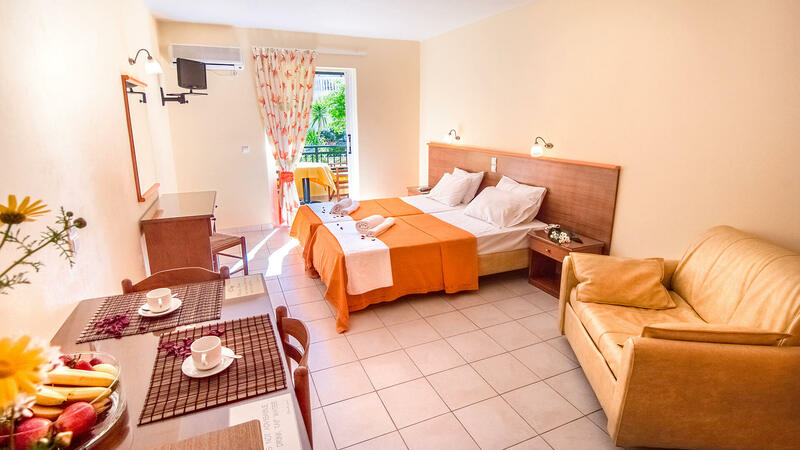 The rooms are very clean with great views all round, the poolside was clean and very well presented. We would definitely recommend staying, and we are looking at going back next year already. Many thanks again to Silva and everyone at Hotel Clio for a fantastic holiday. This was our second visit to the Clio and we were a little bit worried that it wouldn't be as good as it was last year. Well no need to worry it was every bit as brilliant. This really is a lovely hotel, the staff are lovely from the owners Silva and Fortis to the cleaner Eleni, they go out of their way to make your stay with them as welcoming as possible. We were picked up at the airport by a waiting Fortis (we were a bit worried we'd be waiting around as due to the wind we were 1/2 an hour early!) but there he was. Arriving at the hotel we were given complimentary drinks and fruit and then up to our room. We ate a couple of times in the hotel and the food was excellent but we also like to get out and about and had some lovely meals in the town. We will definitely be going again. The friendliest hotel we have stayed in. Family operated with great pride and attention to detail by all concerned. The spacious room was spotlessly clean and well maintained. 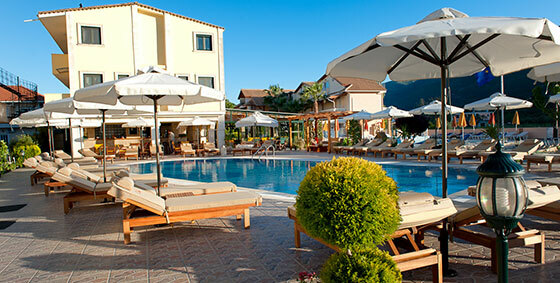 The pool and bar areas were immaculate with plenty of very comfortable sun beds. The half board option proved to be a good choice with delicious meals cooked to perfection by the owner. Highly recommended. Six of us stayed here for 10 days and had a brilliant time. We were welcomed by Silver and given two huge plates of the most delicious fresh fruit and a drink and there is not one complaint amongst us about the hotel in any way. It is well-kept and the pool area was spotless. The sunbeds were very comfortable and facilities were faultless. The breakfast wasgreat with plenty of choice. We went to the Greek night twice which was good fun and very reasonably priced. 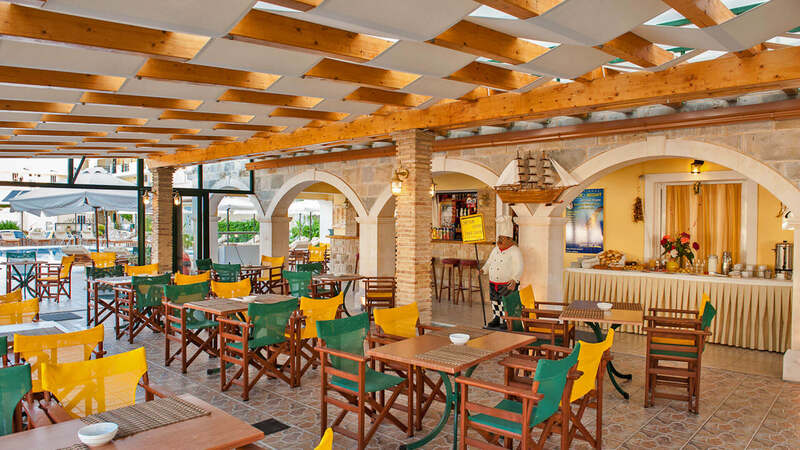 It is very well located and a 5-10 minute walk into Alykes which is a lovely place with plenty of tavernas and a beautiful beach. Everyone at the hotel was so friendly and would do anything they could to make the stay perfect. This was our third time of staying with Silver and his family ,nothing is too much trouble , beautiful clean apartments , well looked after pool and garden areas ,Fortis provides a pickup and drop off from the airport excellent service,Silver Alexandra Eiriona provide lovely well cooked food whilst Nancy and Lina do a great bar service,there's a Greek night on Fridays which is good fun ,not far to walk to the beach ,great relaxing place will be returning next year . Alykes Salt Flats Zakynthos 29090 Greece.